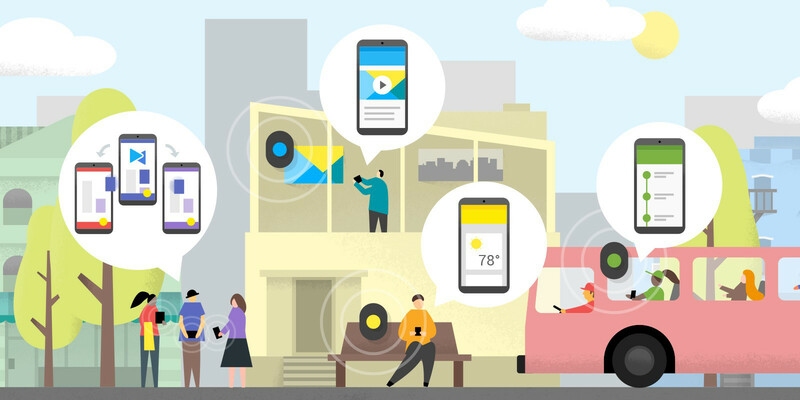 Though you probably never interacted with bluetooth beacons before, chances are that will soon change, with Chrome 49 for Android getting beacon support for a wider range on interaction with the world around us. Bluetooth beacons aren't exactly new, but they have yet to become as common as we'd expect. Mostly because you need specific apps to detect them (in that sense, iOS is a bit far ahead, as iBeacons are directly integrated with the system). But that's about to change, as Chrome 49 for Android will finally bring beacon support to the Android platform. In Android the beacon standard is called Eddystone, but the principle is exactly the same. You'll need only to grab your smartphone to see a notification showing the range of devices/features nearby. That may be something like an offer at a nearby store, a special discount, a shortcut to make payments on a vending machine, automatic check-in at bars and restaurants, etc. The possibilities are endless and you can expect them to grow exponentially as more and more people will join this "physical web" that has been brewing over the past couple of years.